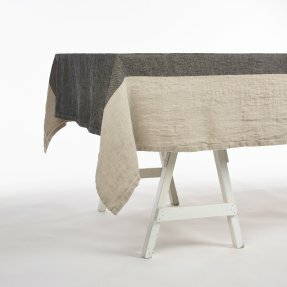 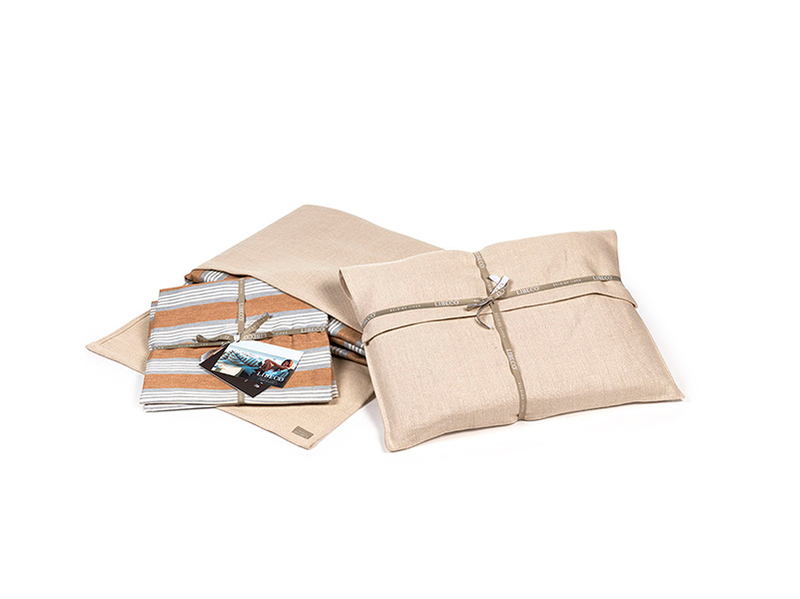 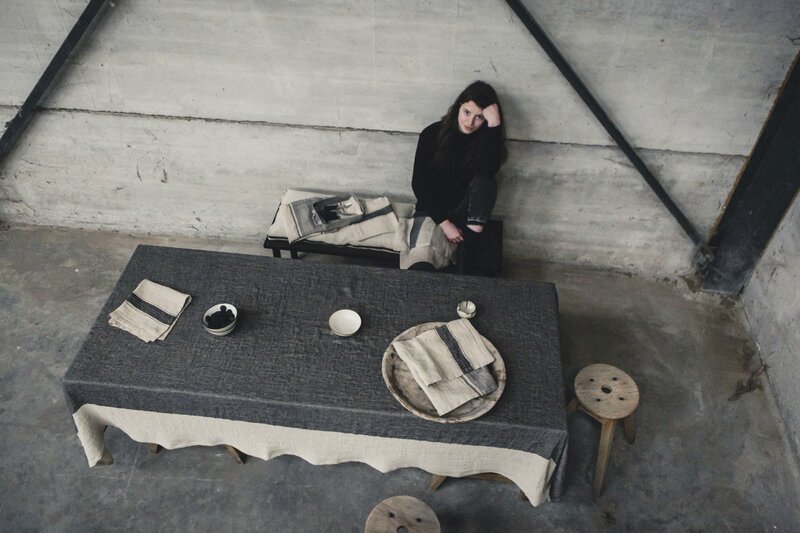 Introducing Thompson: a table linen that combines a sturdy fabric with a refined herringbone design. 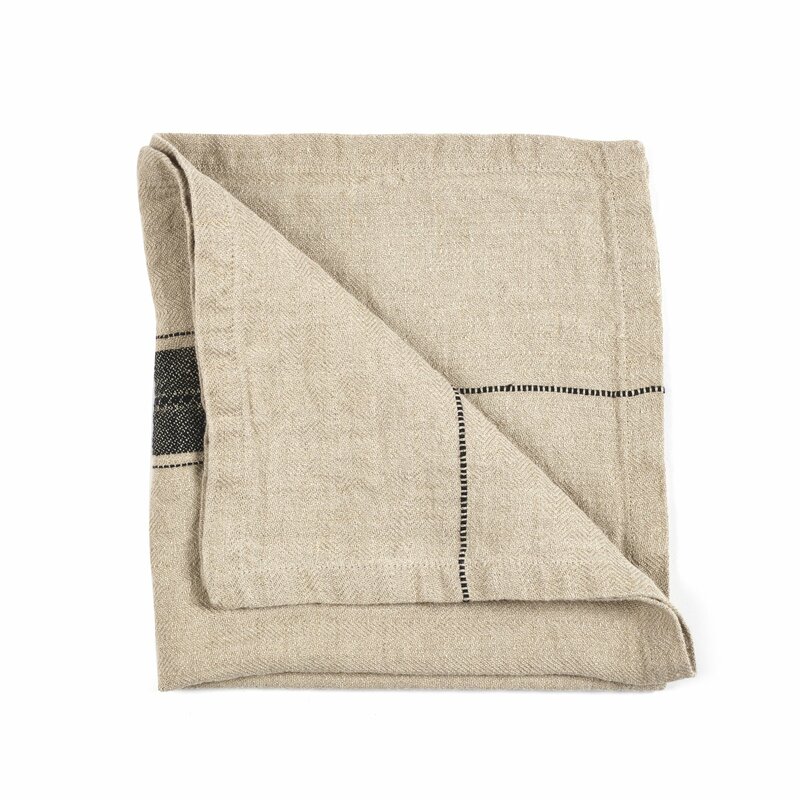 The camel stripe napkin has a central flax herringbone stripe which is bordered by a camel and black fancy stripe at each end. 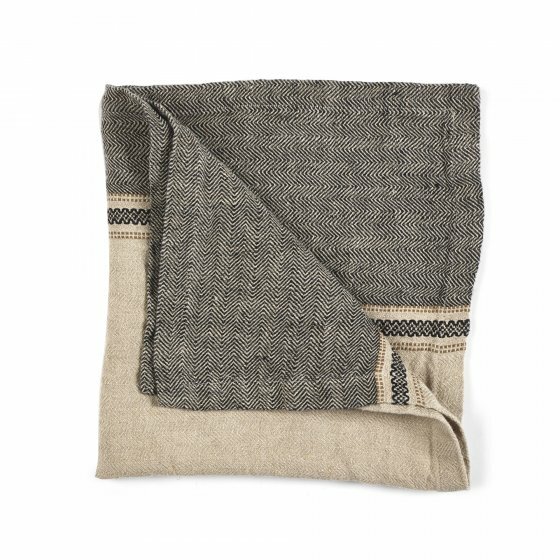 The fancy stripe is a black and flax herringbone with a camel and black dobby weave special design on each inside edge. 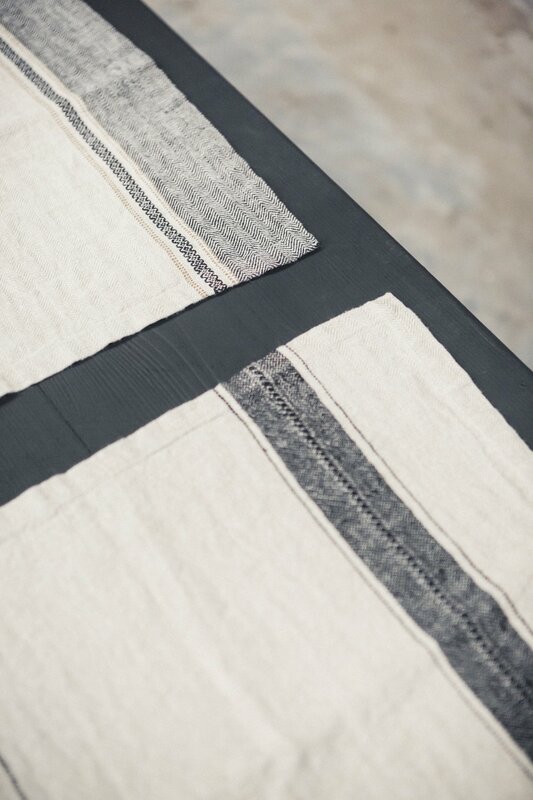 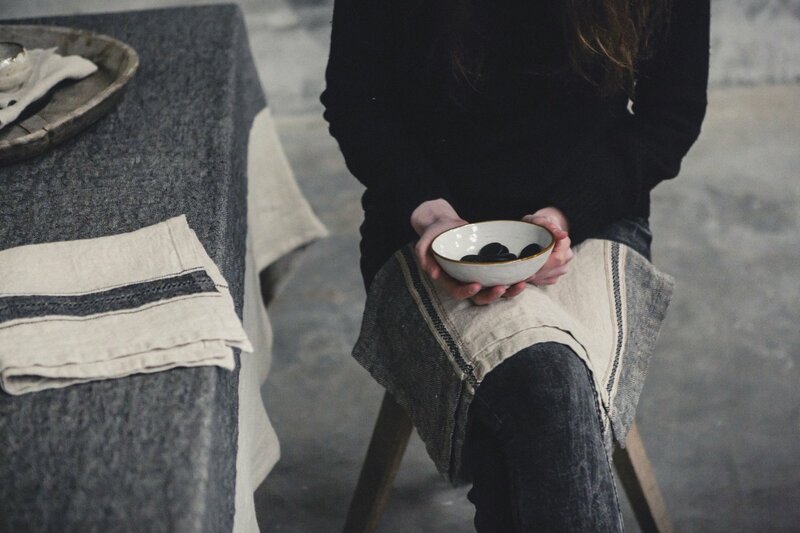 The black stripe napkin is a flax herringbone with a fancy dobby stripe at one end and a single black stripe at the other end.